Picture this: you’re a kid who was born physically different from your peers. You have friends, but still feel unable to fit in entirely. 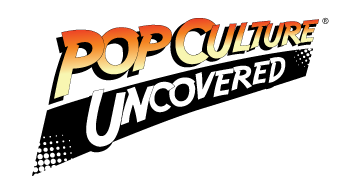 As a kid, you like toys, but you also don’t see any toys that you can identify with; as there are seemingly none out there that are “different” in the way that you are. How would that make you feel? Since early last year, a campaign called #ToyLikeMe has been making its rounds on social media. The aim of this is to call on the children’s television & toy industries to up their inclusion of characters with disabilities, and better represent the millions of disabled kids worldwide. In doing so, the kids who enjoy these toys can better identify with the characters they love, and feel like they’re actually part of the world, as opposed to an ignored subset. Now, it seems that LEGO, the world’s #1 building block toy (and possibly the #1 toy brand), has sat up & taken notice of this. 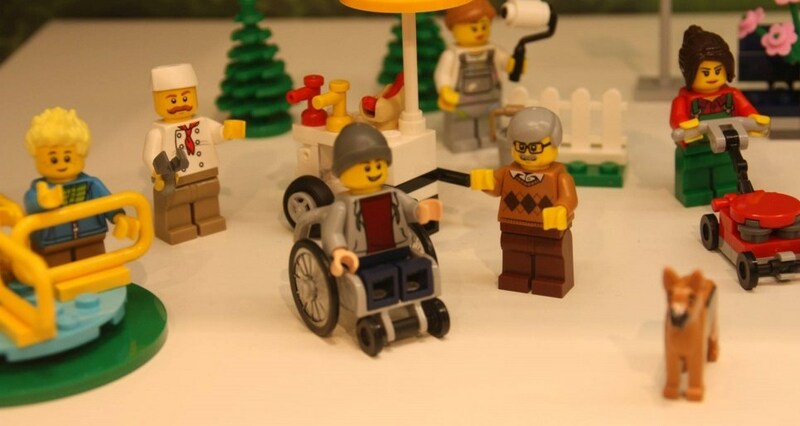 According to Bestmotorizedwheelchair.com, during the London Toy Fair, it was revealed that a set of 60134 Fun in the Park would have a wheelchair element added to it. Then, at the Nuremberg Toy Fair in Germany, the photo you see above was released; which shows a male character in a wheelchair, who also appears to have a service dog with him. Due to LEGO’s immense popularity, it could be said that providing a look at disability through toys will not only help kids with these disabilities feel more included, but also give able-bodied kids a notion that disability isn’t something to be shunned or made fun of. With the influence that LEGO has on its fans, a step like this is to be celebrated. HOWEVER… A little research into LEGO’s IDEAS program (where fans can submit ideas for new LEGO sets) brought to light that someone submitted an idea for a LEGO set, in 2013, which was to include a character in a wheelchair, a disabled parking sign, and a ramp leading up to a set of double doors, which could be all built out of the supplied parts. This set never reached the required amount of supporters in order to be made into an actual LEGO product. That, LEGO, is a bit disappointing. As a person with a disability (and a wheelchair-user), I still applaud the step that LEGO has taken, & the work of the #ToyLikeMe campaign. Let’s face it: kids can be cruel to one another, and I think that steps like this (however small), are a great step in teaching kids to accept one another for who they are, as opposed to what they look like, what they’re wearing, what ability levels they have, etc. I truly wish that toys like this had existed back when I was a kid, so many years ago. I’m definitely going to keep an eye on this, and will be purchasing any set I see with this kind of disability representation. Ideas have to reach 10000 votes for Lego to consider them. The idea mentioned in this article hasn’t reached 7000 votes yet. Also, in episode 2F09, when Itchy plays Scratchy’s skeleton like a xylophone, he strikes the same rib in succession, yet he produces two clearly different tones. I mean, what are we to believe, that this is a magic xylophone, or something? Ha ha, boy, I really hope somebody got fired for that blunder.